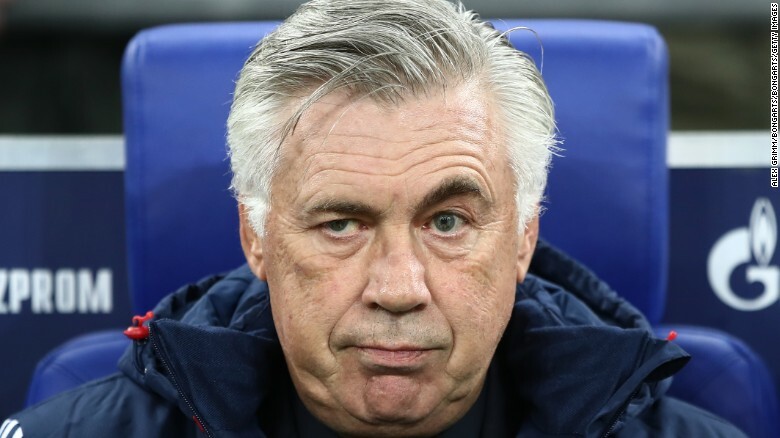 Less than 24 hours after a humiliating 3-0 defeat by Paris Saint-Germain in the Champions League, Carlo Ancelotti has left his role as coach of Bayern Munich, the German club confirmed in a tweet. The reigning Bundesliga champions, one of the pre-tournament favorites for this year’s European Cup, arrived in Paris determined to prove the early season doubters wrong. But the chastening loss, coupled with Bayern’s stuttering start to the domestic campaign, proved to be the final straw for a reportedly furious Karl-Heinz Rummenigge, the club’s executive chairman. “Our team’s performances since the start of the season have not met our expectations,” Rummenigge said in a club statement. Ancelotti led Bayern to the Bundesliga title in his first season in charge, after being appointed to replace Pep Guardiola last year. However, Bayern have suffered a defeat and a draw in their opening six league games this season to sit in third place, falling three points behind early pacesetters Borussia Dortmund. “I’d like to thank Carlo for his time working with us and I’m sorry about the way it has developed,” Rummenigge added. Potential full-time candidates for the Bayern job include Hoffenheim coach Julian Nagelsmann, who handed Ancelotti a 2-0 defeat earlier this season, or current assistant manager Willy Sagnol, a former French international who played for the Munich club.